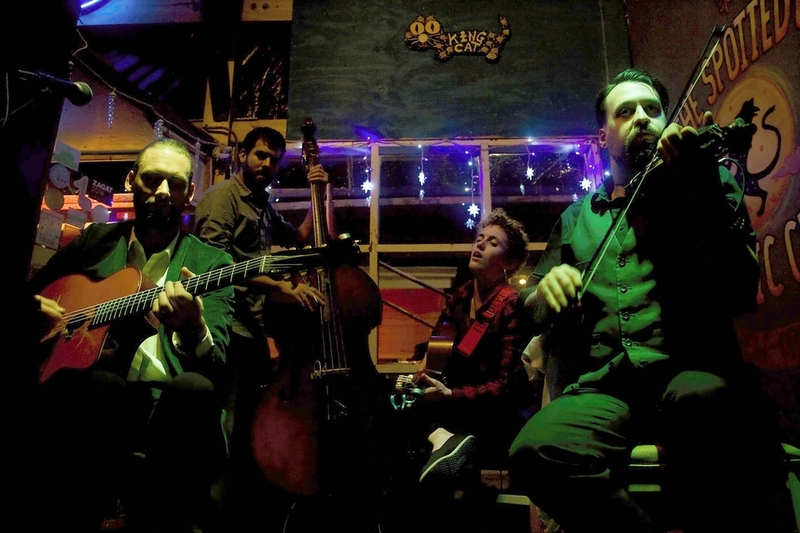 Influenced by the music of Django Reinhardt and the city of New Orleans, Showarama Hot Gypsy Jazz offers a fresh voice in the genre of Gypsy Jazz. 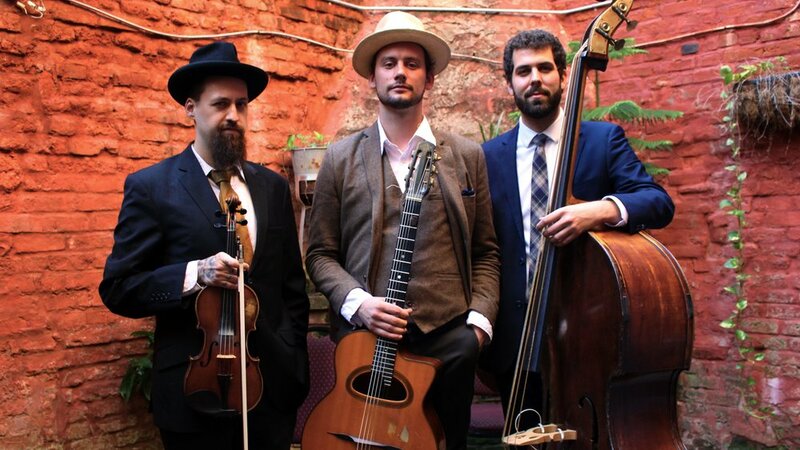 Devoted to the technical and passionate playing required of French jazz musicians, the group plays an array of original swing numbers, relaxing waltzes, and playful arrangements of traditional gypsy and New Orleans jazz. Showarama’s music fits perfectly as either featured or background music. For questions regarding Showarama Hot Gypsy Jazz, and for all your music booking needs, contact us HERE.